Fiat Extended Warranty or Vehicle Protection Plan - autopom! Is your manufacturer’s original warranty expired or expiring soon? Consider purchasing a Fiat Extended Warranty or a Vehicle Protection Plan from autopom! Fiats are small, fun, and even cute. Can a car be called cute? We think so. 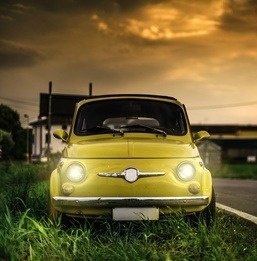 In case you don’t know much about Fiat, it is an Italian automaker known mainly for its small and mini cars. Fiat has been around a very long time – since 1899 in Italy and 1908 in the U.S., long before Chrysler vehicles were produced in 1925. However, many Americans today are just starting to know and recognize the Fiat brand, since Fiat just returned to the U.S. in 2009, after a 25-year absence. Fiat returned to the U.S. after becoming part of Fiat Chrysler Automobiles and has now introduced several versions of the Fiat 500. Although it has struggled, many people continue to buy Fiats because they are budget-friendly, have great gas mileage and can be fun to drive. But, the questions is, are Fiats reliable? Maybe. As with any automotive brand, different models and model years have different levels of reliability. However, Fiat is no stranger to reliability issues and this unquestionably holds true in recent times. What if you own or are about to buy a Fiat? Should you just get rid of it or not buy one? Not necessarily. We do think it would be a smart move to consider a Fiat Extended Warranty or a Vehicle Protection Plan from autopom|! A big reason why is the well-documented reliability issues plaguing Fiat in recent times, as seen in the 2015 J.D. Power U.S. Vehicle Dependability Study. This study examined problems experienced during the past 12 months by original owners of three-year-old vehicles. It showed that Fiat vehicles experienced 273 problems per 100 vehicles! That is over 100 more problems per 100 vehicles than the industry average of 147, putting Fiat in dead last of all vehicle manufacturers in the U.S.! Ouch! Considering these problems are occurring before the vehicle is out of the original warranty, you should absolutely consider how valuable a Fiat Extended Warranty or a vehicle protection plan from Autopom could be for you. Consumer Reports 2014 reliability survey also rated Fiat as the least reliable brand and the Fiat 500L as the worst car. If you have already bought a 500L, you should absolutely be considering extended protection for your car! In spite of well-known reliability issues, Fiat makes fun vehicles that could be well-suited for you and your needs, and you will likely enjoy driving your Fiat for many miles. So if you have already bought a Fiat, don’t worry. A Fiat Extended Warranty from the dealership or a vehicle protection plan from Autopom can save the day! Extended protection can help you protect your Fiat, and your budget, from expensive repair bills. And when you get a Vehicle Protection Plan from autopom! you get a lot more than just repairs. Follow this link to review the great features and benefits that autopom! plans offer.